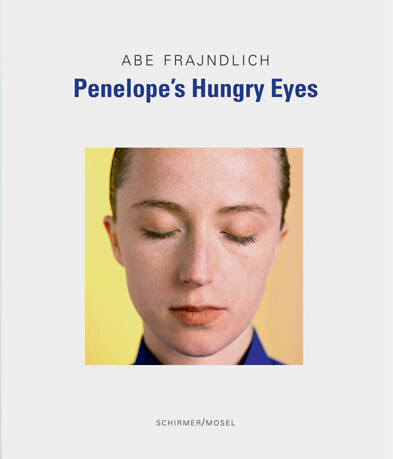 Tregoning and Company is proud to announce our major Spring 2012 exhibition: PENELOPE’S HUNGRY EYES: Photographs by ABE FRAJNDLICH – opening on Friday, March 16th 5-9pm as part of 78th Street Studios popular “Third Friday” Series. Abe Frajndlich will be with us along with Dr. Henry Adams on Saturday afternoon March 24th 3-5p, for a gallery talk and book signing. Henry Adams is the author of the fine essay on Abe and his work, found in this latest acclaimed book of Abe’s 101 images of 20th century photographer/artists, PENELOPE’S HUNGRY EYES: Portraits of Famous Photographers –just published by Schirmer/Mosel. PENELOPE’S HUNGRY EYES: Portraits of Famous Photographers has already been hailed by French and German photography critics as one of the most significant new books on photography of the last decade. Frajndlich received an entire page in the Jan. 15th Sunday New York Times along with a dozen portraits from the book –unprecedented acclaim indeed. For over thirty years Abe Frajndlich has been an artist who I’ve admired and championed, dating back to the first Cleveland exhibition of ‘infra-red” photographs of Cleveland in 1981, which I organized. Since that time, Abe and I have explored various ideas for another exhibition -looking for the right combination of images, timing, space and significance combining to bring him back into view in his home city. PENELOPE’S HUNGRY EYES is the result. This entry was posted in Art News, cleveland, exhibits, galleries, ohio, photography, shows and tagged abe frajndlich, architecture, art news, arts, cleveland, entertainment, exhibit, exhibition, famous photographers, gallery, hollywood, illustration, live, show, william tregoning. Bookmark the permalink.